Emergencies: For severe situations, immediately call 911 or go to the nearest Emergency Room and let the Emergency Room know that Dr. Maria Rizo is your Pediatrician! Dr. Rizo is on call after office hours, during weekends, and on holidays. These calls should be limited to emergencies or serious illnesses. Call the regular office number: (772) 344-1775 and the answering service will take your information, name reason for the call and call back phone number. The answering service will contact Dr. Rizo and the call will be returned within 20 minutes. Please note, medications will not be refilled after hours. To provide preventive, diagnostics, and therapeutic services with attention to individual need. We are dedicated to giving family-centered care from birth to later years in an affordable, high quality manner. Follow us on Facebook! And please let us know how we are doing. Thank you! Dr. Rizo's philosophy is to provide professional, competent and thorough care for infants, children and adolescents in a warm and friendly manner. 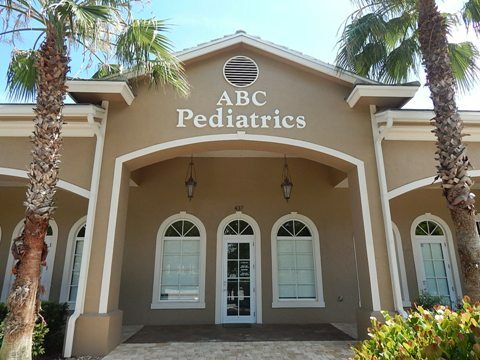 Copyright © 2015 ABC Pediatrics of St. Lucie. All Rights Reserved.